New research reveals how a single protein interferes with the immune system when exposed to the bacterium that causes Legionnaires' disease, findings that could have broad implications for development of medicines to fight disease and infection. "Our immune system protects us from deadly infections, but successful pathogens have evolved many effective ways to subvert its function," said Zhao-Qing Luo, a Purdue University professor of biological sciences and member of the Purdue Institute for Inflammation, Immunology and Infectious Diseases, who led the research. "We have revealed an intricate mechanism of how a protein from the potentially deadly pathogen Legionella pneumophila turns off the major immune regulatory protein NF-κB, which controls numerous important cellular processes. This is important because it reveals a highly effective and specific way to turn off an immune response." 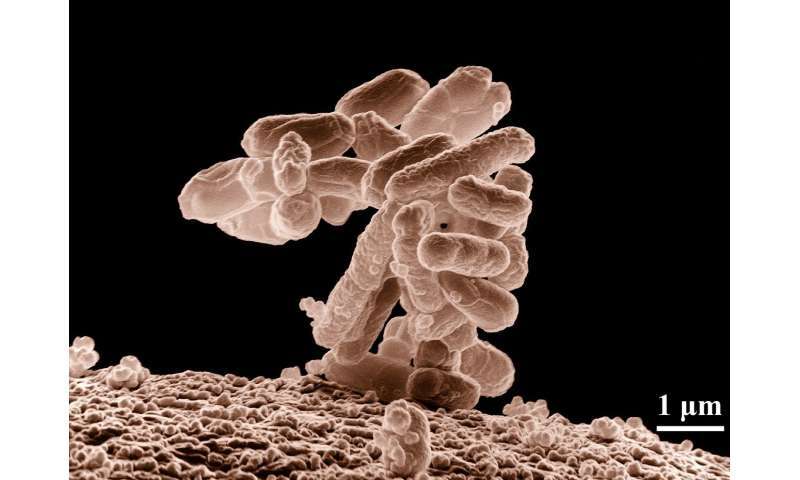 The findings are detailed in a paper recently published in the journal Nature Microbiology. The paper's lead author is Purdue graduate student Ninghai Gan. The researchers discovered that the bacterial enzyme MavC inhibits UBE2N, a human protein essential for the activation of NF-κB. "The inhibition by MavC is achieved by adding a small protein called ubiquitin to a position in UNE2N critical for its activity," Luo said. "Protein modification by ubiquitin, a process termed ubiquitination, is enormously important in immune development and disease processes. " The research suggests a route to the development of new kinds of antibiotics. "The bacterial enzyme found in this study is important for its ability to attack the host cells, so we can develop small molecules to inhibit is activity to achieve the goal of anti-infection," Luo said. "Further, because the bacterial enzyme effectively and highly specifically inhibits the activity of a human protein essential for immunity activation, another potential application avenue is to use it to suppress immunity for autoimmune diseases or other hyperinflammatory conditions. The major challenge in the latter application is the delivery of the genes to the patient, but the concept has been suggested by many scientists in the field." The paper was co-authored by Luo; Gan; Ernesto S. Nakayasu, a researcher at the Pacific Northwest National Laboratory; and Purdue biology professor Peter J. Hollenbeck. Ubiquitination is normally catalyzed by a three-enzyme reaction cascade. However, MavC alone is able to achieve ubiquitination, which plays an essential role in numerous important cellular processes such as immunity. Ubiquitination is frequently hijacked by pathogens to enable the spread of infection within a host, meaning the research findings could lead to future medicines against infection. "Because of its high specificity and efficiency against UBE2N, MavC can be further developed into agents with potential therapeutic values for the regulation of NF-κB activation in disease conditions," he said. Future research will include work to develop high-throughput screening strategy to identify synthetic or natural compounds capable of inhibiting MavC's activity. Another potential application is to use the protein to test for different immune diseases.